We are being talked about! Find out what makes Freespee press worthy. You're in the right place if you're looking for anything new about Freespee! LONDON, NOVEMBER 22nd, 2018 ​– Freespee, the cloud communication platform company that helps consumer brands better engage and convert online customers, is proud to announce the launch of Freespee Talk. Talk is the first-ever contact centre app that’s 100 percent driven by customers’ online activity. It will help businesses streamline their operations and keep their customers happy – in a cost-effective way. Freespee Talk turns contact centres into dynamic environments that are fuelled by real-time data. It includes call tracking, predictive call routing and granular data collection. 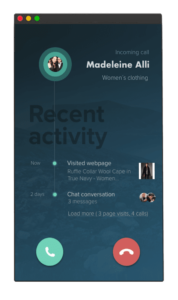 The app takes insights gathered by the customers browsing experience and displays this information for a call centre agent via a simple, visual interface. The page the customer is calling from – whether it’s a specific product or a complaint page. 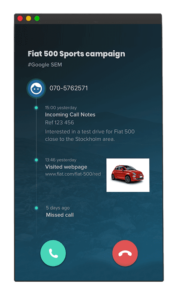 By assigning dynamic phone numbers to specific product pages and campaigns, a call can be routed to an agent responsible for that particular audience segment. These call handlers will be trained to answer queries. This helps increase the conversion rate across the sales funnel, from browsing to the point of purchase. This is particularly relevant when big-ticket items like cars or real estate are being considered. A call centre manager can also temporarily expand their inbound team and adapt to call influxes by using resources in the right way. All of this is without the need for extra costs, as Talk is a cloud service that can be easily upscaled, or altered, without massive infrastructure changes. Belron, the world’s leading vehicle glass repair and replacement group, has been an early adopter of Talk for the last two months. This implementation has helped the firm streamline its day-to-day operations and improve its conversations with its customers. “Freespee Talk lets us tap into a rich seam of contextual data within voice interactions between us and our customers – and lets us use machine learning and AI to empower our agents. It takes care of the entire customer conversation process, giving us rich data on their browsing and intent, so the only thing left for the agents to do is what they do best – speak to customers,” commented Sean McMahon, CRM Digital Solutions Manager at Belron. “Seeing the outstanding results that our client Belron has achieved during the product trial was very exciting. We are now delighted to be able to take the next step and launch Talk to the wider market” added Anne de Kerckhove, CEO, Freespee. Freespee is bringing its intuitive, data-powered app to all of its customers. Built for businesses who wish to turn the web into a revenue funnel, Talk will help companies identify browser intent, improve the customer experience and accelerate sales. Freespee was founded in Uppsala, Sweden in 2009 by product designer and software engineer Carl Holmquist and Tobias Lindgren, with a vision to make brand conversations more impactful. Freespee offers a cloud communication platform that makes marketing, sales and service teams better at what they do. The company powers millions of conversations and has become an integral tool for companies worldwide to better understand and bespoke consumer journeys and accelerate sales conversion. At Freespee we believe that every consumer deserves a personalised and fulfilling conversational experience. We do this by bridging the gap between a consumer’s digital journey and the conversation through contextual data. Our platform enables best in class call tracking, unified communication tools, predictive call routing and automated sales and CRM workflows. With Freespee, you can track prospects from a campaign to the final sale. Led by CEO Anne de Kerckhove, Freespee has over 90 employees in 5 offices across Europe and is growing over 70% year on year. Freespee is backed by leading European investors including Verdane, Sunstone, Ventech and Inventure. Funding will fuel Freespee’s accelerated profitable growth across Europe. LONDON, JULY 24th, 2018 ​– Freespee, the software company that helps consumer brands better engage and convert online customers via a suite of enterprise cloud communications solutions, today announced a €9.5 million strategic investment from Verdane Capital IX. The company expects revenue to grow by 80% in 2018 and is gearing up for continued profitable growth. The investment will enable Freespee to accelerate the development of its unique solutions stack. The company is investing heavily in R&D, AI and product development to cope with market demand. The company will double its engineering team by the end of the year and will be hiring across its five European offices in engineering, data science, business development, customer success and marketing. The company has recently signed deals with Fiat, Vauxhall, Peugeot, Club Med, E-on and eBay to name a few. The investment was led by Verdane’s Partner Pål Malmros, who leads the fund’s B2B software arm and who will be joining Freespee’s Board of Directors alongside earlier investors Ventech, Inventure and Sunstone. “We are delighted to welcome Verdane as strategic investor and I look forward to working with our fantastic team, the board and our great founders to drive excellence at Freespee during this period of hyper growth. An investor of Verdane’s calibre also puts us in a very strong strategic position as we explore future opportunities in new markets”, said Anne de Kerckhove, CEO of Freespee. “I am very pleased to welcome Pål Malmros to the Board and to the investor group. We at Sunstone have had the privilege of working with Verdane previously and have no doubt that this investment represents yet another important step in the continued success of Freespee.” said Freespee’s Chairman, Jørgen Smidt, who is a Venture Partner with Sunstone. “Freespee’s platform is delivering mission critical revenue impact for its clients by drastically increasing sales conversion. This, together with the team’s obsession with customer success, is what attracted us to the company. I’m looking forward to working with the Board and the team to help the company realise its huge potential”, said Pål Malmros from Verdane Capital. Freespee was founded in Uppsala, Sweden in 2009 by Swedish software engineers Carl Holmquist and Tobias Lindgren, with a vision to make the web more conversational. Freespee offers a cloud communication platform that makes marketing, sales and service teams better at what they do. The company powers millions of conversations and has become an integral tool for companies worldwide to better understand consumer journeys and accelerate sales conversion. At Freespee we believe that every consumer deserves a personalised and fulfilling conversational experience. We do this by allowing consumer-facing brands to have contextualised conversations with their web and app users by combining multiple data silos into a single digital function. Verdane funds provide flexible growth capital to fast-growing software, consumer internet, energy or high-technology industry businesses, through both minority and majority investments in individual companies and portfolios. Verdane funds act as ambitious, active, and long-term owners, helping management teams and companies accelerate and sustain growth by leveraging the Verdane advisory team’s unrivalled technology capabilities and proven track record in driving business value. Verdane funds’ and SPVs’ current portfolio of 42 core companies includes Boozt, EasyPark, Mustad, inRiver and Polytech. Verdane funds have attracted SEK 12 billion in total commitments from investors. Verdane Advisory Group has 30 employees working out of offices in Copenhagen, Helsinki, London, Oslo and Stockholm. Sunstone is one of Europe’s most active early-stage venture capital firms. With offices in Copenhagen, Berlin and Paris we invest in seed and Series A rounds in technology companies all across Europe. Since inception in 2007, Sunstone has backed over 70 exceptional founding teams, including Asetek, Boozt, GetYourGuide, Prezi, Neo4j, Tink, Natural Cycles, Seriously, Lillydoo. The fund invests throughout the software stack and across industries.